The last time we did our own proper party in London was almost a year ago (in that big ol’ church in Hackney). 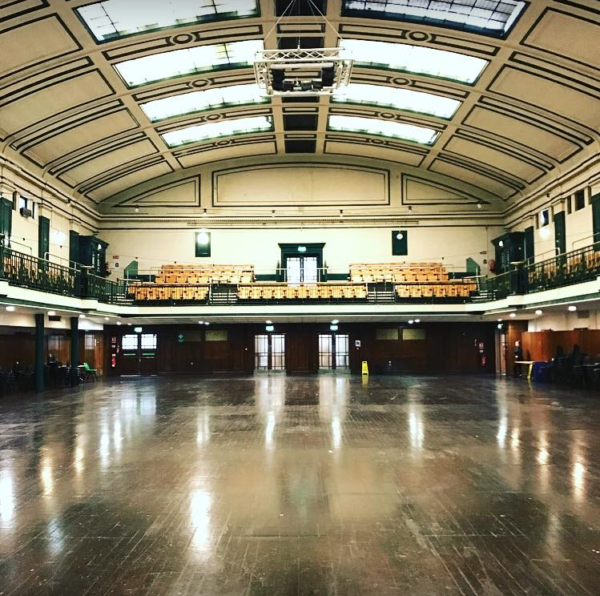 But after a long search for a special place to do our thing in the Big Smoke, we’ve found it, and we’ve set a date.On Sunday, August 27th we’re taking over York Hall, a storied Victorian building in Bethnal Green with a nearly hundred-year-old basement bathhouse and a boxing gymnasium where Lennox Lewis and Audley Harrison have duked it out.We’re taking over the skylit main room for Carnival Sunday, installing a nice sound system, bringing way too many records, blowing up some balloons and getting the wood floors primed for an afternoon dance. The party goes from 4pm to 11pm.We’ll have drinks and food that won’t break the bank. Bring a friend or two, or come solo and make one. Tickets are here.